We want to empower 1 million women financially! HELPING WOMEN GET SMART ABOUT MONEY. We couldnâ€™t agree more - money certainly shouldnâ€™t be your one and only great love. We do, however, feel it is important to get to grips with money order to plan and achieve the life we all want (and totally deserve ). This is why, step by step, we want to help you build the financial independence that will enhance your future prospects. This week, we will tackle topics frequently discussed with financial advisers. From calculating your net-worth and getting started on your will, to reflecting on the impact of inflation on savings and tips on boosting credit scores - weâ€™ve got this. How many of you get a regular check-up at the doctorâ€™s? Are you as diligent when it comes to checking up on your financial health? Most of us arenâ€™t. Financial planners insist that one of the best indicators of financial well-being is personal net-worth. But what exactly is it, and how is it calculated? An individualâ€™s net-worth is a snapshot into their financial state of affairs - their net economic position. It normally refers to assets owned minus debt owed. Over time, your net-worth will change as your assets and liabilities fluctuate (this includes everything from earning interest to repaying debts). Monitoring your net-worth is a simple, necessary step towards greater financial independence, so no excuses. Go and start calculating yours today. 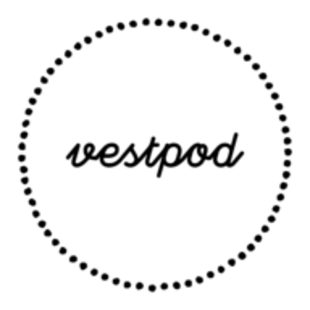 Take a look at our detailed example from Vestpod. Financial advisers unanimously agree that writing a will is vitally important - many even insist a will should be one of the first things you tackle when it comes to financial planning. We get it - itâ€™s morbid. Nobody wants to think about falling seriously ill (or worse) - and thatâ€™s fair enough. If youâ€™re in denial, youâ€™re not alone: research shows that 59% of the adult population in the UK have yet to write a will. Like it or not though, writing a will is unavoidable and crucial - it lets you decide what happens to your money, property and possessions after your death, and helps protect the lives of loved ones that you leave behind. So stop delaying and get it over and done with - regardless of your age, health or state of finances. Itâ€™s that important. Ok, so youâ€™re ready to rip off the bandaid. Where do you start? Fortunately, for a few hundred pounds, you can get a solicitor to write your will for you. Alternatively, you can use an online DIY- will platform (yep, thatâ€™s a thing), which is usually free or less than Â£50. You can check out all your options here. Inflation in the UK hit 1% in September - the highest rate in almost two years. Economists have forecast further increase as the harsh realities of the weakened pound continue to take their toll, whilst banks have made more cuts than increases to saving products in the past 12 months. What are the everyday effects of inflation? The most notable, and worrisome, consequence is the spike in prices on everyday goods. To add insult to injury, there is no indication that wage increases will follow. Consequently, our cash savings (ISAâ€™s) arenâ€™t looking too promising. â€œStop! This is depressing, is there a silver lining?â€� - you plead. The good news it that you can beat inflation and generate a higher return on savings: to do so, you may need to take a little more risk in the form of a Stocks and Shares ISA. Listen to Claer Barrett from the FT talk about The Return of Inflation (17min) and read up on how to open a good Stocks and Shares ISA. You may or may not know this already, but your credit score is key to determining how much money you can borrow. Everything from setting up a credit card to taking out a business loan or mortgage requires lenders to reference the often dreaded credit score. It plays a key role in helping them decide how much you can borrow and how much interest you will pay. The better your credit score, the better your chances at getting a good deal. If youâ€™re blushing at the memory of that one credit card bill you didnâ€™t pay off on time (weâ€™re not judging, promise) - donâ€™t worry. There are simple ways to give yourself a much-needed boost. First, go and find out what your exact credit score is - you can use Noddle to do this. Second, please donâ€™t forget to pay your bills on time (that includes credit card bills - no cheating!). And finally - Â keep using that credit card (or go out and get one). The more payment history you have, the easier it is for credit agencies process your application. So donâ€™t give them a reason to dig up any dirt - make sure to pay off those bills. We are not certified financial advisers!Â The articles and information made available on Vestpod are provided for information and educational purposes only and do not constitute financial advice. You are advised to consult with an independent financial advisor for advice on your specific circumstances. Read our Disclaimer Â here.